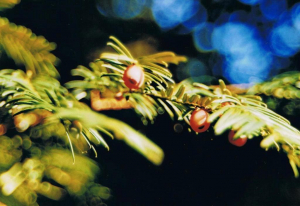 Observation - Yew with fruit - UK and Ireland. Description: Yew showing fruit with red arils. Yew showing fruit with red arils.